Sunil Narine smashed a fifty in 17 balls, his second fastest in IPL history. 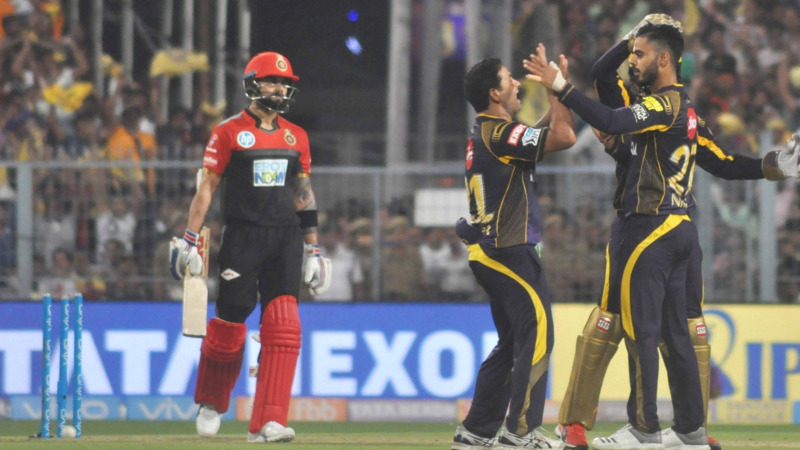 Kolkata Knight Riders and Royal Challengers Bangalore played their first match of IPL 2018 at the Eden Gardens. The expectations from this match were high after the high voltage matches before it. New captain Dinesh Karthik won the toss and bowl first. Karthik revealed that Narine, Russell, Lynn and Johnson were KKR’s foreign players; while, Kohli led RCB had McCullum, De Kock, De Villiers and Woakes as the foreign contingent. 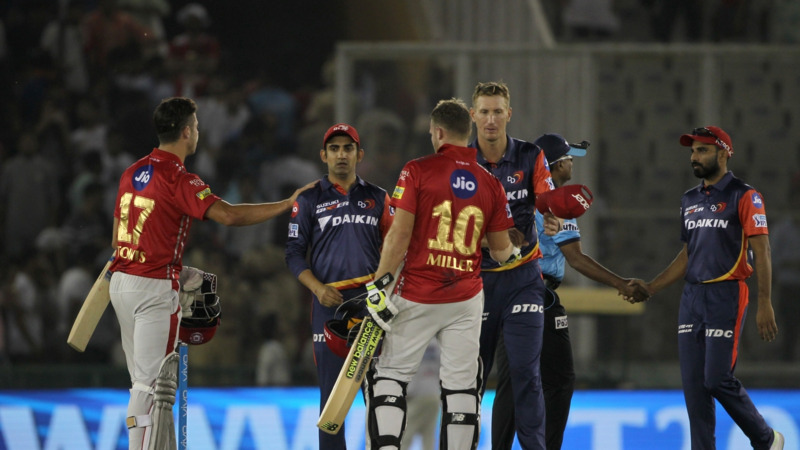 Quinton de Kock was removed for 4 runs by Piyush Chawla. However, Brendon McCullum smacked 43 off 27 balls, starting off with a four off the first ball of the match. His innings was curtailed by Narine. Kohli (31 off 33 balls) and AB de Villiers (44 off 23 balls; 5 sixes and 1 four) added 64 runs for the 3rd wicket before they were dismissed off consecutive deliveries by Nitish Rana. After that, Mandeep Singh hit 37 off 18 balls with 4 fours and 2 sixes to take RCB to 176/7 in 20 overs. Apart from Rana (2/11), R Vinay Kumar also picked up 2 wickets for 30 runs in 2 overs. KKR lost Lynn for 5 to a very good catch by AB de Villiers off Woakes, but Sunil Narine smoked a 17 ball 50 with 5 sixes and 4 fours, to put KKR on road to the chase. He was removed by Umesh Yadav shortly after and Yadav then removed Robin Uthappa for 13. Nitish Rana (34 off 25 balls with 2 fours and 2 sixes each) and Dinesh Karthik (35*) added 55 runs for the 4th wicket, before Rana was dismissed LBW by Sundar. Andre Russell played an interesting cameo of 15 runs before getting out. R Vinay Kumar hit a four to end the match and Karthik won the match on his KKR captaincy debut. RCB 176/7 (AB de VILLIERS 44, N RANA 2/11) KKR 177/6 (S NARINE 50; U YADAV 2/27) by 4 wkts.